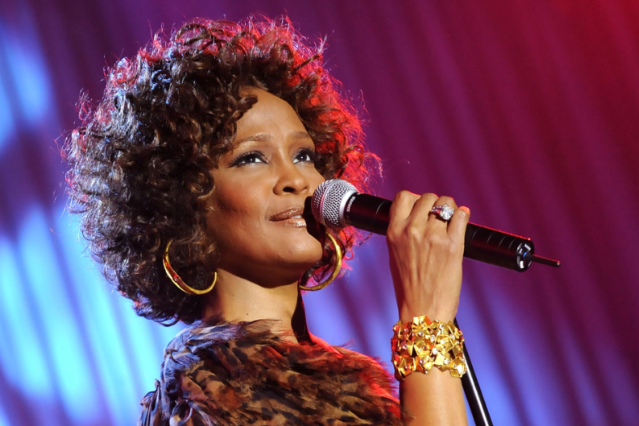 The residents of Newark, New Jersey, were saddened by the death of hometown heroine Whitney Houston. And now they are yet sadder, and also, angrier — the city government has slapped taxpayers with a $187,000 bill for costs incurred during the singer’s funeral service on February 18. The money spent by the city, according to CBS, went to overtime pay for the police department, as nearly 200 officers patrolled barriers along the funeral procession on its way to the city’s New Baptist Church (via MTV). That $187,000 is 5 percent of the city’s overall 2012 budget of $4 million. Residents are understandably frustrated, calling for Houston’s family to pay the costs, since the service wasn’t even open to the city’s residents (except Newark mayor Cory Booker, who was invited and attended), despite its being livestreamed and broadcast. Sound like a hefty total? It’s not much compared to the $1.4 million Los Angeles spent on Michael Jackson’s elaborate memorial service in 2009. The neighboring city of Westfield, where Houston was buried, incurred only $9,000 in police overtime (5 percent of what Newark paid). Coroners have ruled that Houston’s death on February 11 was the result of an accidental drowning, however heart disease and prolonged cocaine use were named contributing factors.